I am like a turtle overjoyed with the new spring weather! Spring is breaking out here in Maryland. The leaves are unfurling so fast, I think I can almost hear them if I listen closely. All of nature seems to have jumped out of winter’s sleepy bed and into spring’s lively exercise. 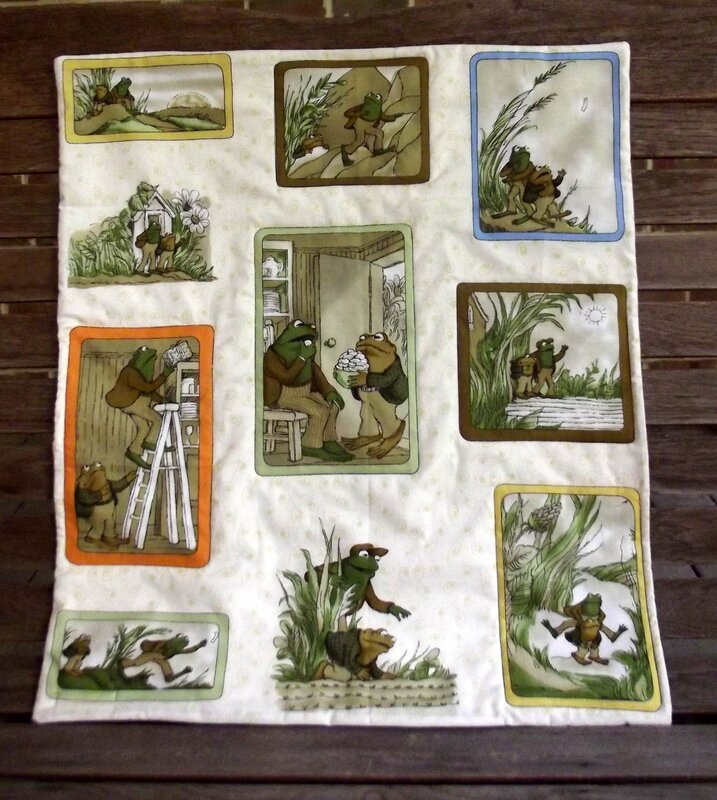 I am so inspired that I, too, will rush from my cozy sewing room where I quilt all winter. I will run (slowly) to my lovely rocking chair on the porch, where I will quilt all summer. Hey, it may not sound exciting, but I am like a turtle overjoyed with the new spring weather. Do you want to feel like a tree growing it’s spring leaves? When you sew these, your own leaves can take form while the real ones around you open up. So you will feel even more a part of nature! This pattern is called Elizabeth’s Tree. I named it for my daughter, who loves to sit under trees and read books. Here is the pattern available in my shop. Giving Away a Rabbit, a Raccoon, and a Snail. I feel a bit guilty about the last blog post. All I gave you were old TV memories. Today I will make it up to you. 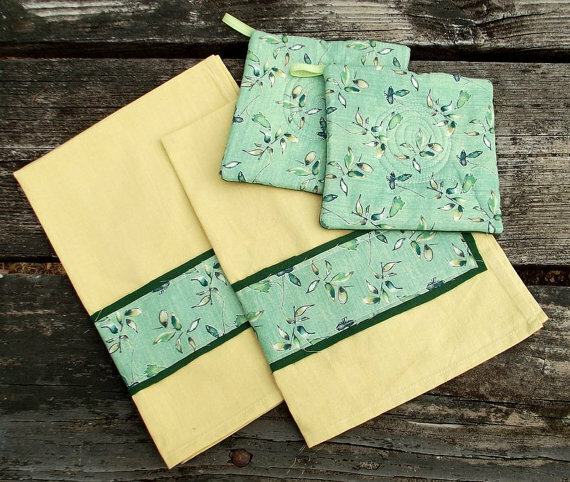 I chose yesterday’s three most popular free downloads from my Craftsy pattern store to share with you. 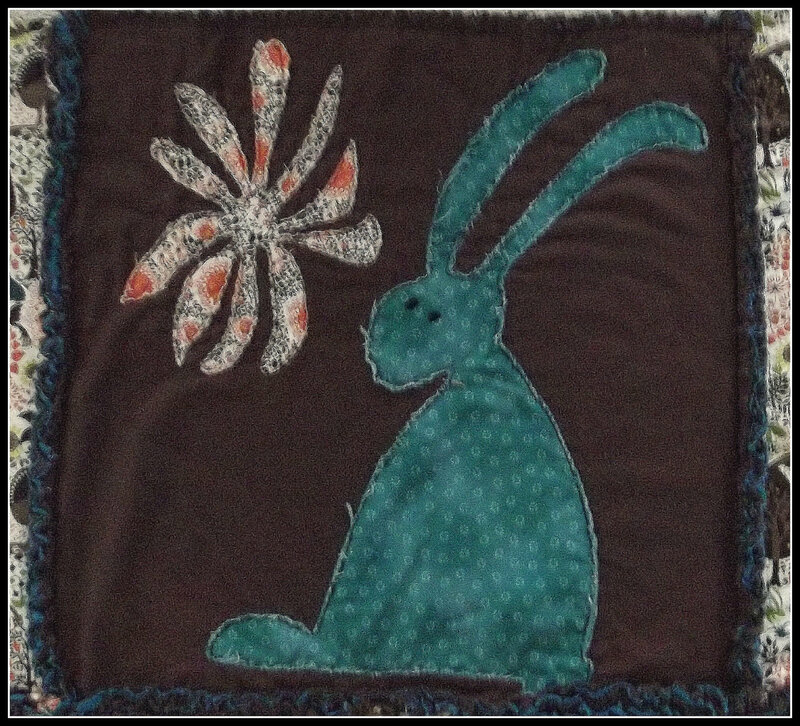 You can download this rabbit for free on Craftsy right here. 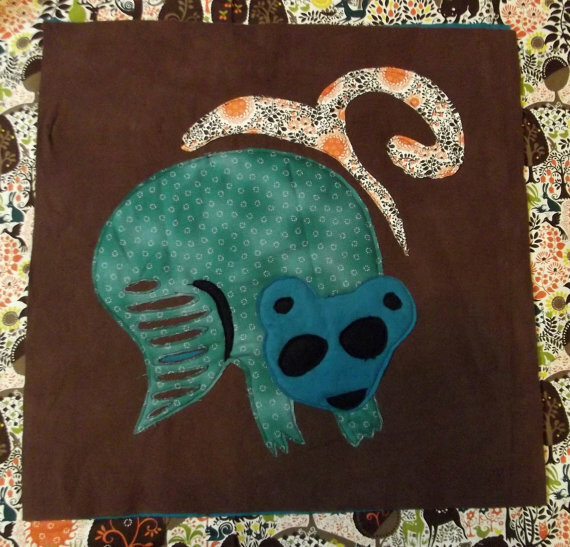 You can find this raccoon for free on Craftsy right here. 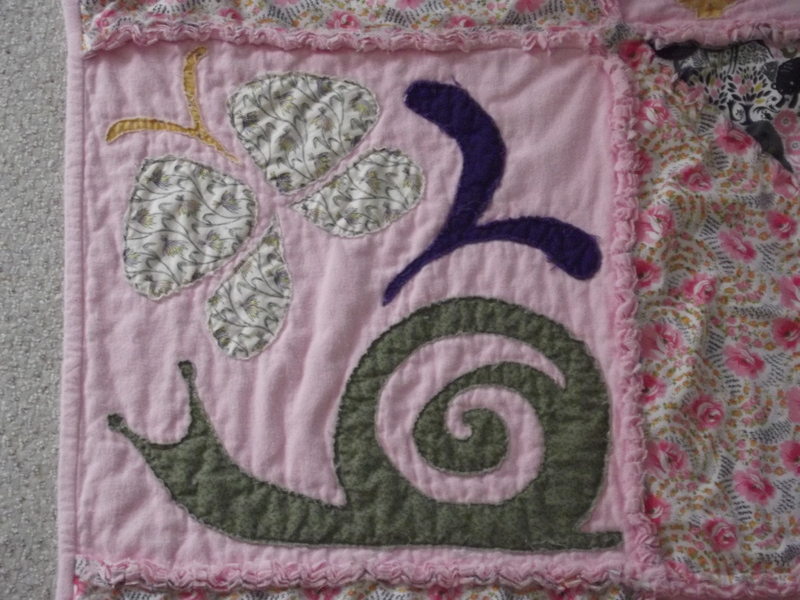 Here is the link to the free snail pattern on Craftsy. Here Comes Peter Cottontail, Hoppin’ Down the Bunny Trail…. Why is it every time a major holiday rolls around, snippets of silly songs from my childhood pop in my head? I think of Christmas and all of sudden I’m humming “Grandma Got Run Over by a Reindeer”. Halloween brings to mind the scary drumbeat soundtrack from The Wizard of Oz when the witch says, “I’ll get you, my pretty, and your little dog, too!”. Today I was deciding the title for this Easter blog post and, naturally, I started singing the Peter Cottontail song. So, my Easter gift to you are old TV memories. In the classic words of Porky Pig, “That’s all folks”. 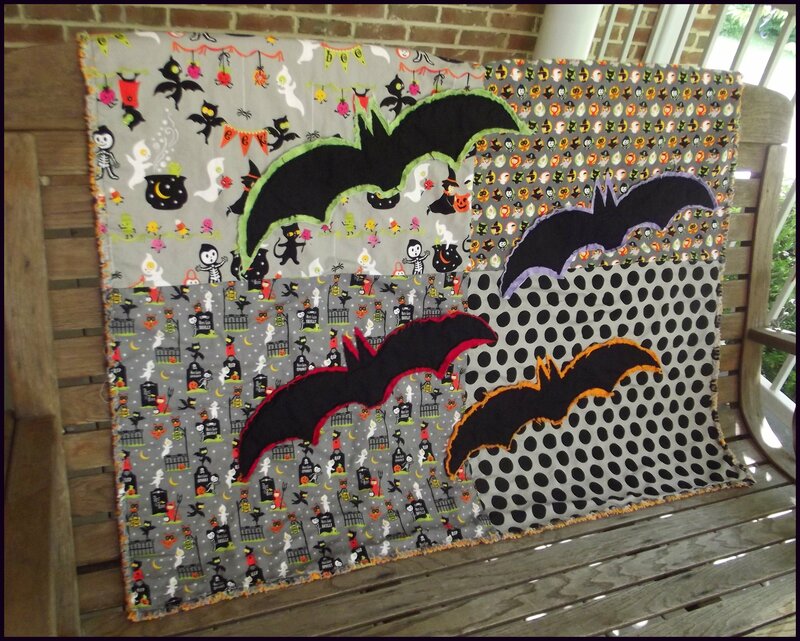 This is a very fun quilt to make. 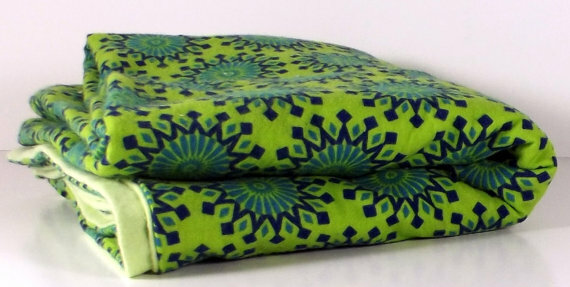 It goes together fast, is full of colorful fabric and, best of all, it’s guaranteed to look great! 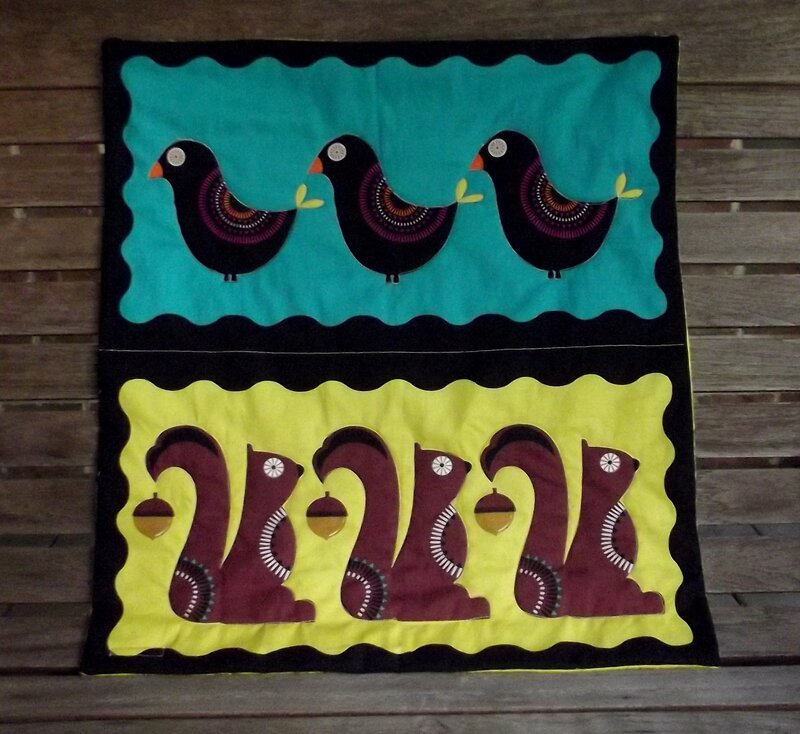 Here is the pattern and here is the quilt . The dragon above reminds me of another famous saint, St. George, who slayed the dragon and rescued the princess. 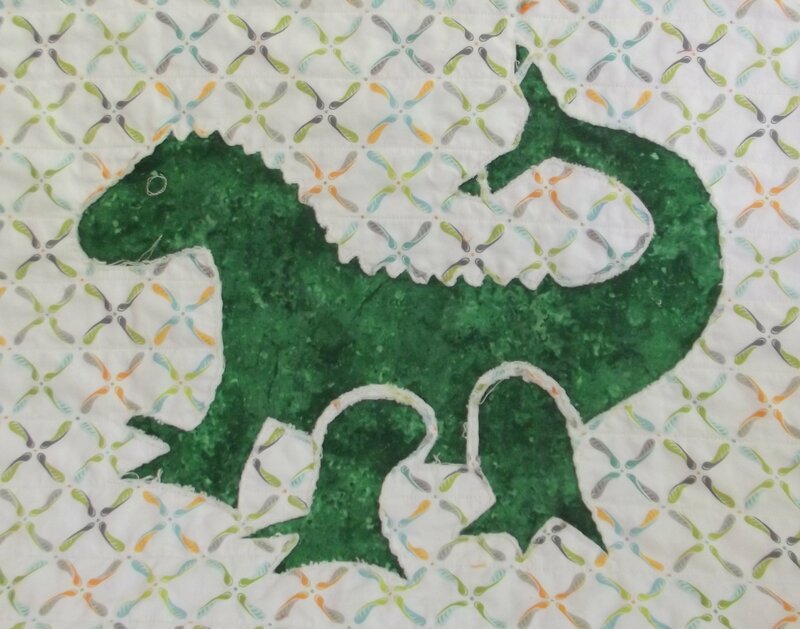 My green dragon is part of a quilt, the pattern and quilt are available in the shop, here. 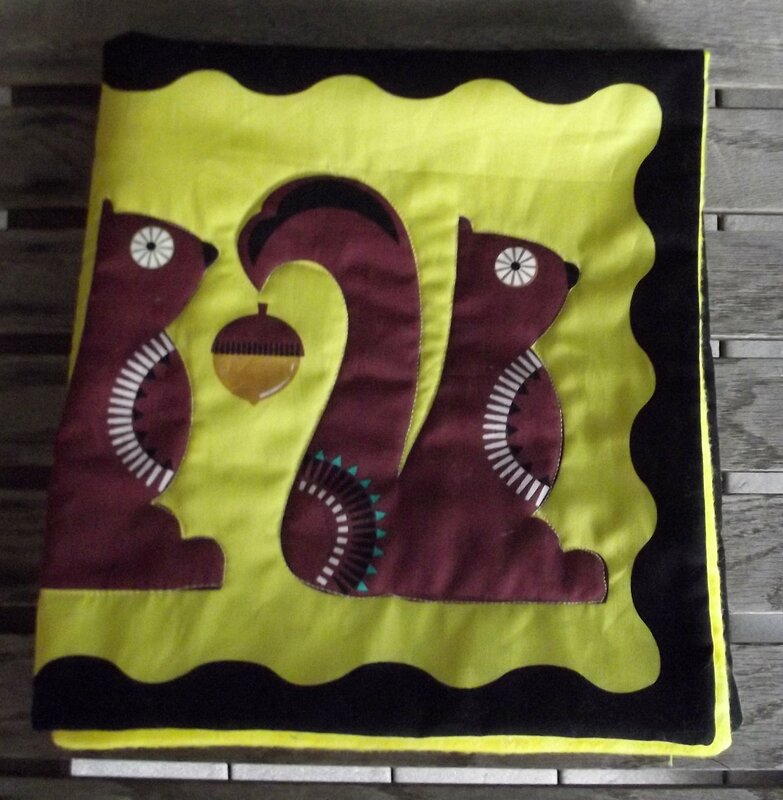 What a lucky baby or grownup if they get a blanket like this one! Beautiful green and so so soft. It’s available at Maryland Quilter. It’s bitter cold this morning in Maryland, wayyyy below average. I looked out my window and the birds are slow to come to the feeder because of the cold. For an instant I was afraid for them, that they would freeze on the branches. But then common sense took hold. They have been cold before and will be fine. God takes care of them. What are you afraid of? Whatever you fear, it probably won’t happen. Fear is a liar. I tell myself that and have a poster to remind me. 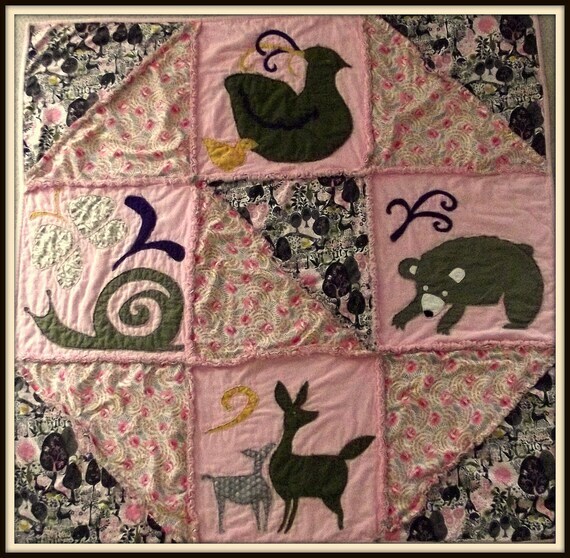 The quilt and the pattern are available in the shop here . Fall is the season of squirrels. Everywhere I look, there they are running up and down the tree trunks. I love them all, even the ones that figure out how to raid my bird feeders. It’s amazing to me how the animals have a complex society in my backyard. They live, fight, love and die right outside my window, whether I notice or not. 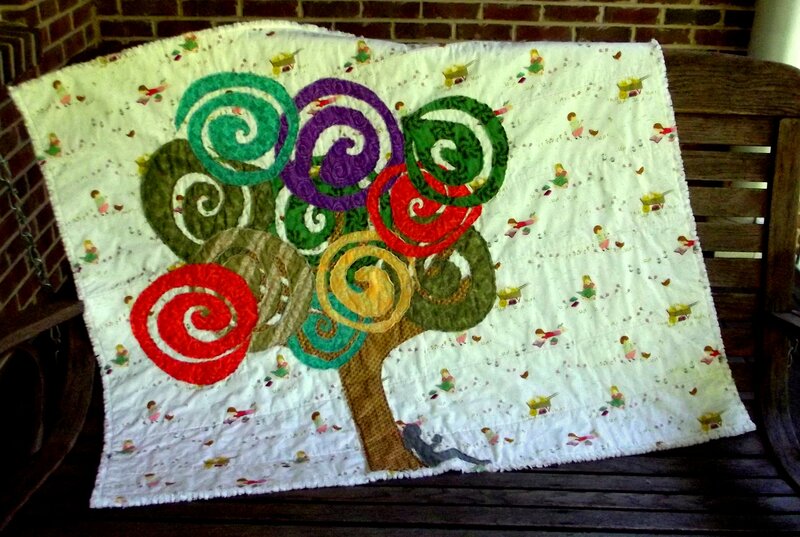 So here I am, sewing virtual squirrels on baby quilts, while the real squirrels carry on outside my window. Free shipping on everything for the holidays! 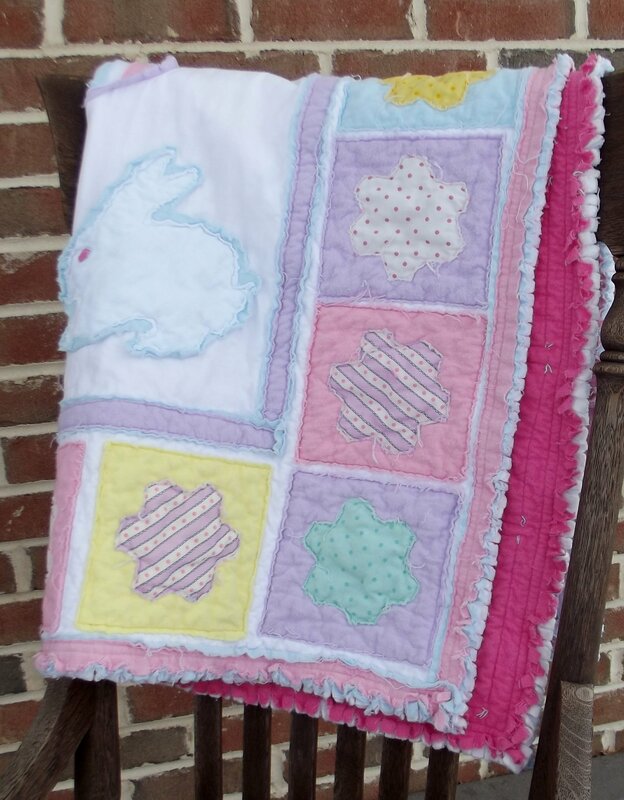 What is the best size for a baby blanket or quilt? I’ve been asking myself that question for a couple years and I have the answer: Babies need some of every size. When they are newborn and need swaddling, bigger is better so their feet don’t stick out. When they are in the stroller, smaller is better so it doesn’t drag on the floor. When they start to crawl, any size works.